Power Rangers?! Dragon Ball Z Kai???!!!! And comics, of course. 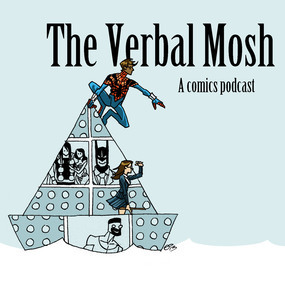 On this week's episode of The Verbal Mosh comic book podcast, we review Detective Comics #32, Batgirl #32, and Hulk #4. Check out this new Episode right over here or on our Facebook page. Be sure to enter our TPB Bonanza! contest while you're there.